Xiaomi Mi3 Indian users who are waiting for the stable version of MIUI 6. Here is the good new for you now you can update your phone with the latest official MIUI 6 ROM. 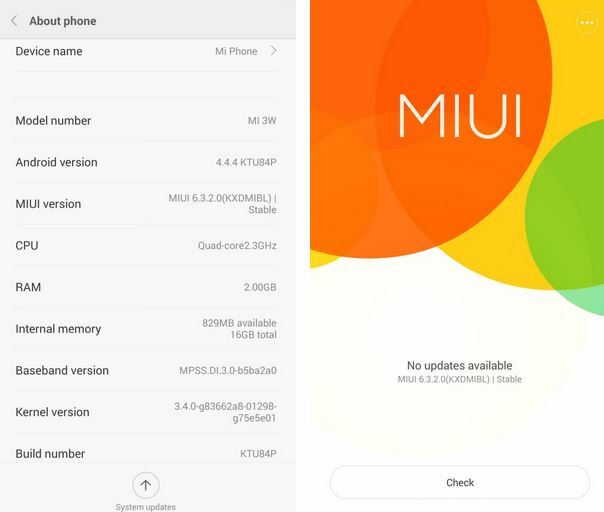 The update is rolling out already and most of the MI 3 users already got the update, but most of them still waiting of for the update and stuck on the MIUI 5 version. If you can’t wait anymore, then you can have it right now by installing the Stable MIUI v6 OTA update manually on Mi 3 Indian version. Here in this guide we’ll show you how you can manually install the updater on your phone and enjpuy thefeatures of MIUI 6. The update sized 542MB will update your Mi 3 in India from MIUI 5 version: KXDMIBF34.0 to MIUI V6.3.2.0.KXDMIBL (Stable). The update process is very simple and take a few minutes to complete the same. Before following this guide do take the backup of your Xiaomi phone. Note: This update is meant only for the Indian Mi 3 WCDMA variant. Step 1. 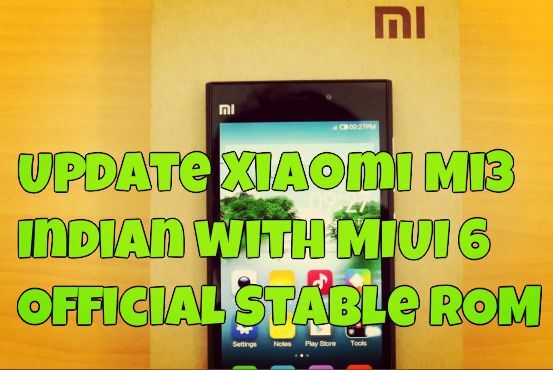 Download the Stable MIUI 6 (v6.3.2.0.KXDMIBL) ROM for MI 3 here. Step 2. Now move the downloaded ROM on your phone downloaded_rom folder on internal storage. Step 4. Now click on the ‘Update’ option, wait for the update to complete and then Reboot to finish. First reboot will take some time, so don’t worry. That’s it, now your phone is running on the stable MIUI 6 rom. ENJOY !!!!! As I type this I can see that there is no MIUI 6 available for India MI3. Only MI3 TD and China version has MIUI 6 in http://en.miui.com/download-101.html official MIUI website. Not sure where you got this from. If you enlighten me it would be great. Bugs exist. Blue screen flashes on boot. Battery charge is dead slow at almost 7hrs. Thanks man, the steps were easy and the whole thing worked like a charm!! Keep up the grt work.